notes on what I wanted to do different next year. 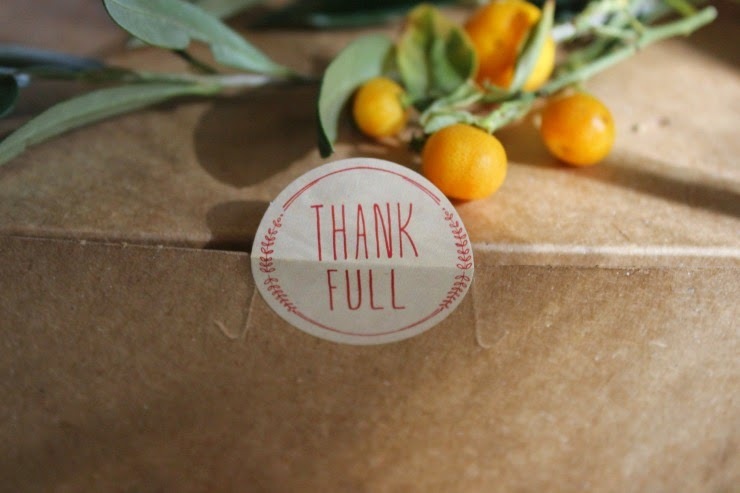 I'm sharing my Thanksgiving table recap! but the process to get there as well! to remind myself of what worked and what I have done before. as well as a quick jaunt through Pinterest. I then just started pulling pieces from my collections that conveyed the vibe I was after. with a big nod to our SoCal area. using tiny citrus from my garden! 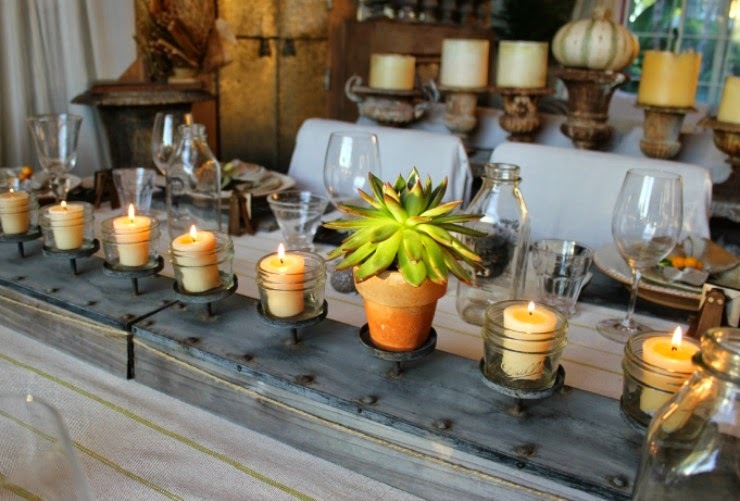 Candles are always a must on my tablescapes. 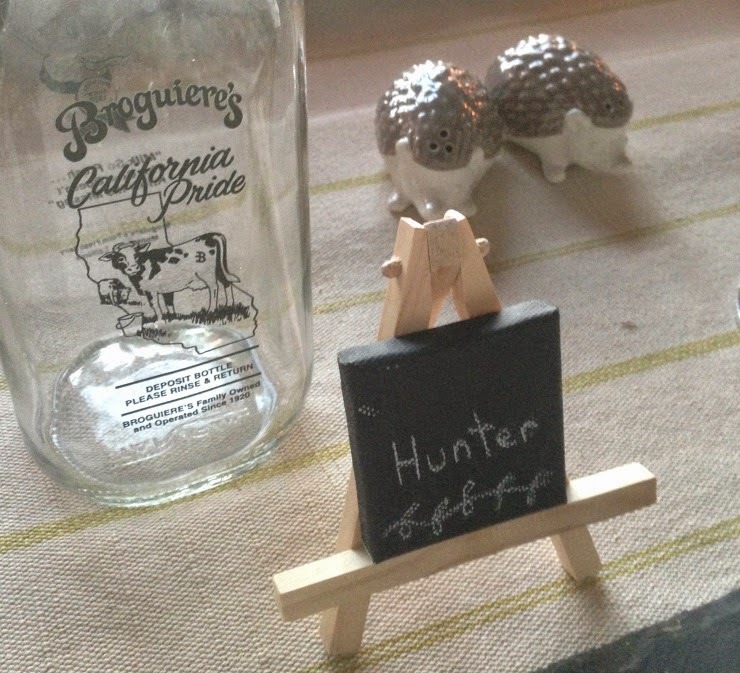 in which I used small canning jars as votes. for a lovely sculptural succulent. just exactly the feeling I was after! that I made out of remnant material from the fabric store. I made the table cloth the same way. 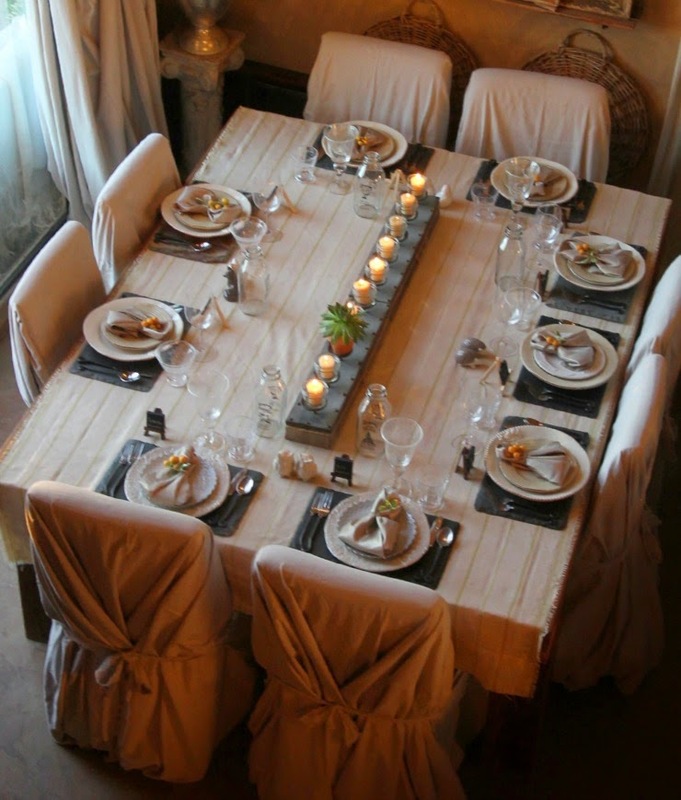 and dress up our farm table for the occasion. mixed with a big punch of citrus! was something I just loved from my last year's table! I love the texture and the grounding effect of the stone tile. 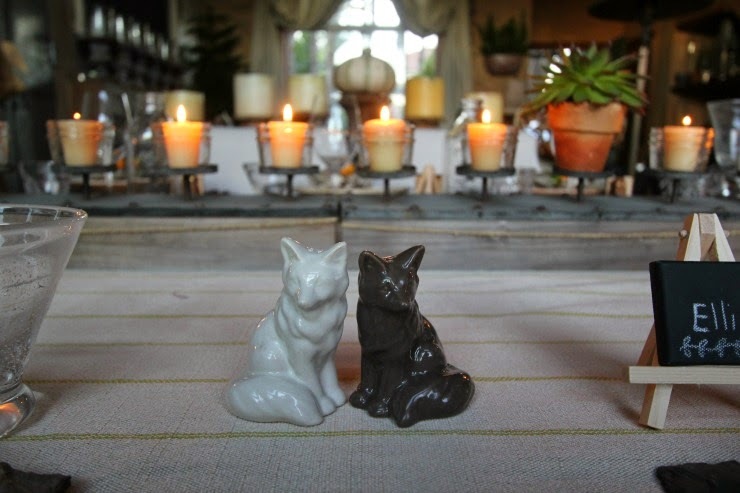 I loved the whimsy the different salt and pepper sets brought to the table. to have extra water on the table. I hate breaking up good conversations to get up for waters. also made a lovely reappearance this year. 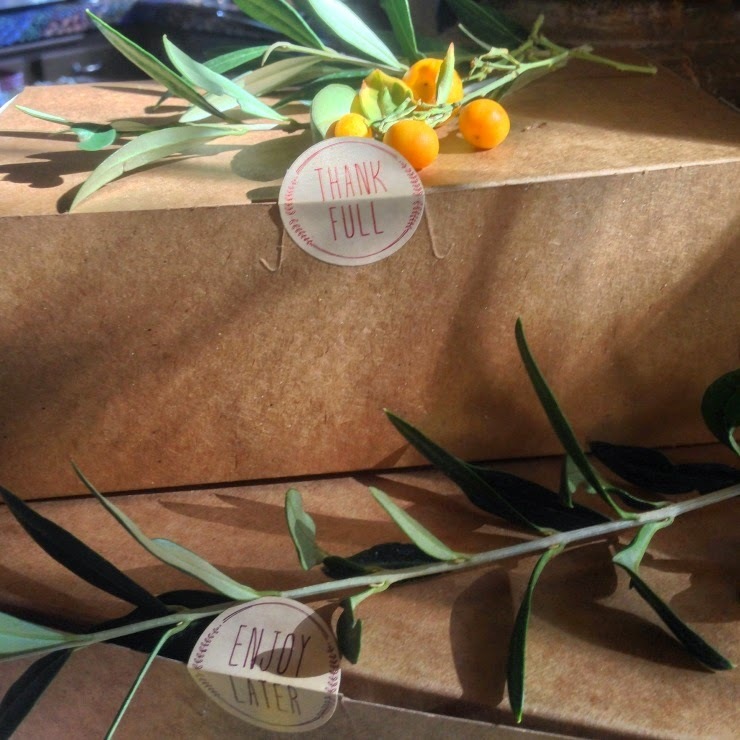 Take home boxes for leftovers! for the perfect boxes I was looking for! I will definitely be repeating this idea next year! I can't believe we never did before! filled with the gift of a meal shared! Oh Tamera, what an absolutely lovely and inviting scene! You have such an eye for detail and texture. I love the fun salt & peppers! 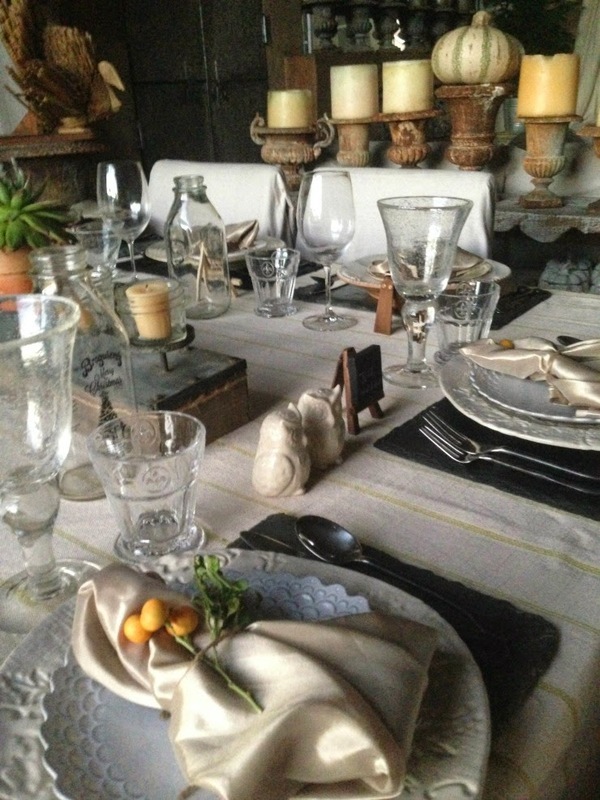 you have done a good job on table setting. I like the glasses beside other little things where you paid a lot of personal attention and the idea with the take home boxes are brilliant. 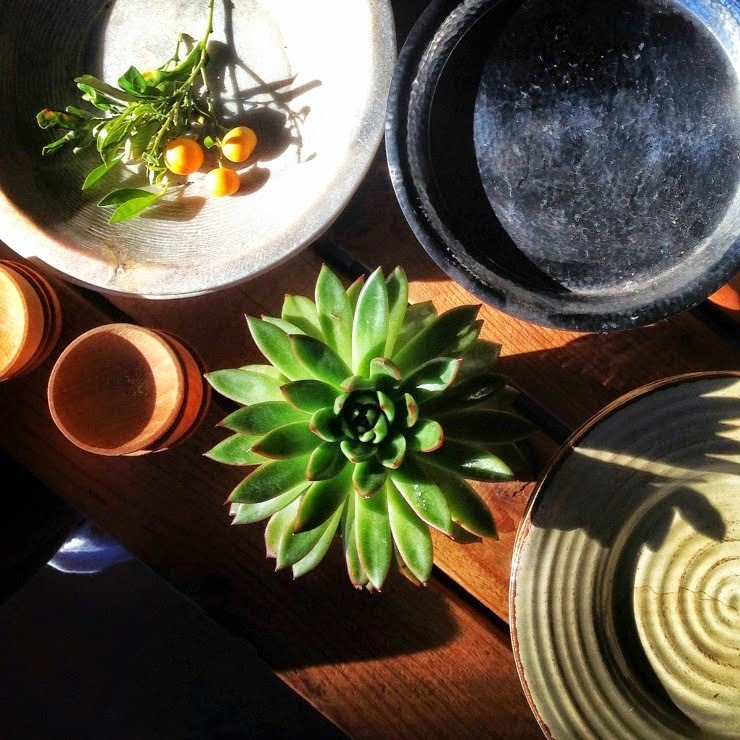 Your Thanksgiving table sings love, gratitude and charm. Tamera, I have been in love with your rustic candelabras since the first moment I landed in your world. Did someone make them for you? Our decorating styles are quite similar...I soar when I visit you. Great idea on the take out boxes!!! 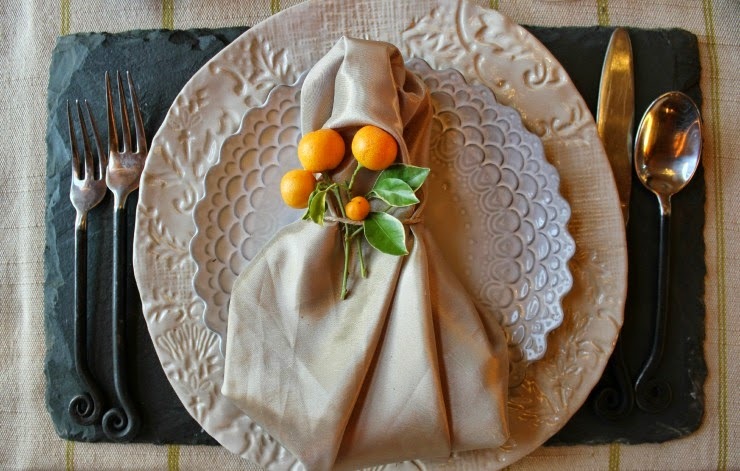 Love the little kumquats with the silky serviettes. Hello dear Tamera, I know for a fact that for many of you my Amerrican friends Thanksgiving is even more important than Christmas. 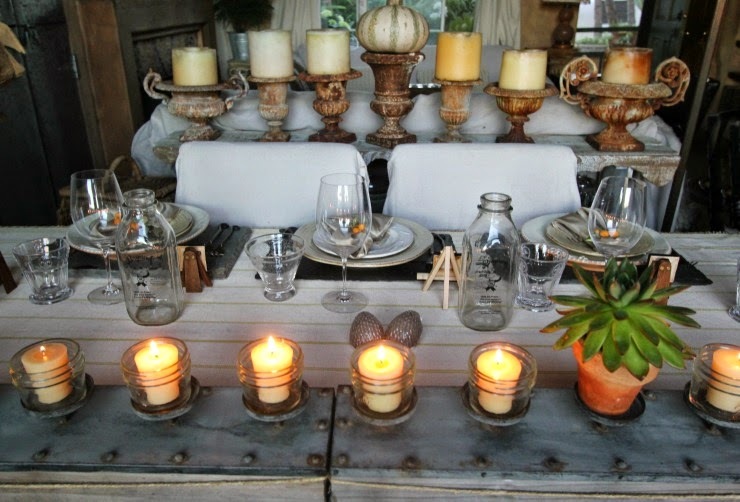 Great ideas and table styling! Everything looked wonderful! Thank you for sharing! How did I miss this post? 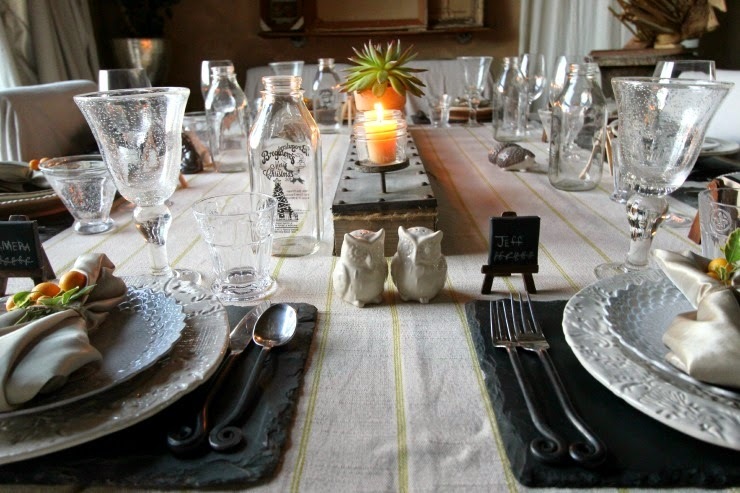 I love what you did with your table setting, absolutely gorgeous! 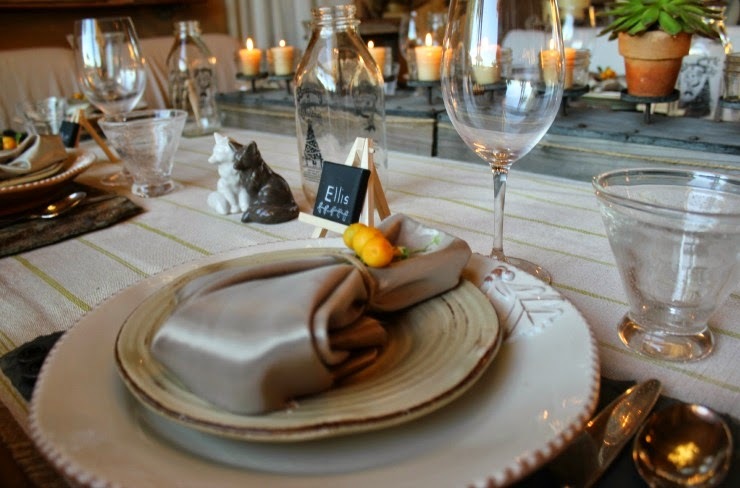 Love the creamy colored linens with the slate and chalkboard placecards--and those boxes are a great idea. So charming with the stickers. You're such an original Tamera!